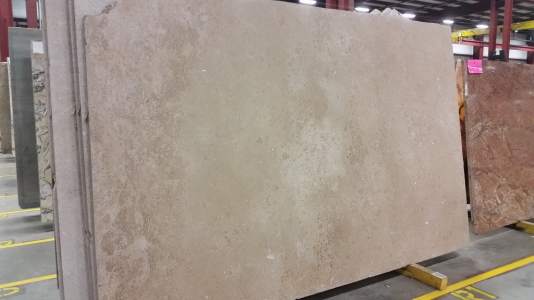 Travertine is the middle stage of limestone which is in the process of evolving into a marble. The quiet natural beauty of this stone is shaped by unique features in each piece of the stone. This natural stone’s appearance is highly affected by underground springs and subterranean rivers. While the mining procedure is in process, random air pockets due to carbon dioxide bubbles get trapped inside the stone. These voids provide a depth that cannot be found in other stones. From rustic to refined, Cosmos Raleigh, NC has a vast travertine collection for your flooring, wall cladding and facades. It brings warmth to your living spaces, kitchens and bathrooms.